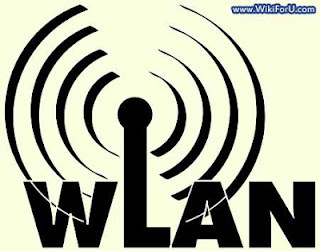 Wireless Local Area Network, also known as WLAN, is a LAN which uses free space or Radio waves as a communication channel instead of using conventional wires or cables. Its use and applications are increasing day by day. In most of the areas, Wifi hotspots took place of broadband services. With WLAN, a network of computers can be created same as in simple LAN network but instead of connecting computers or devices with wires or cables, we make use of radio waves. So it is a wire less communication between two or more devices. WLAN is very cost effective as there is no need of communication channel such as cables or wires etc. But we also need some WLAN components and equipment like APNs which are used in Wireless LAN. Wireless LAN uses spread spectrum technology on the basis of radio waves for communication. When making a general conventional Local Area Network a WLAN, we need some extra equipment at the both transmitter and receiver end. At the transmitter end, a device known as Access Point or APN is connected through a Hub or Router. Same on the receiver side, we need to connect a peripheral called wireless network card. In most of the computers, it comes pre-installed. The APN at the transmitter end is connected with the source of information through a Port or Hub. This APN converts incoming data into radio waves and transmits it into the air. The Wireless Network Card catches these incoming signals from the air and demodulate them in order to convert them to original information. Larger bandwidths and higher speeds. Supported on all devices such as Computers, Laptops, PDAs Tablets and Mobile Phones. Peer to Peer WLAN: In Peer to Peer WLAN, two computers or devices are connected with each other over wireless medium through Wireless Network Cards of individual devices. This connection is also known as Ad-hoc connection. In this type of Wireless LAN, no devices are used in between. Access Point WLAN: As its name suggests, it is a wireless network in which two or computers or devices are connected to each other or to internet via a peripheral known as APN or Access Point. This type of network have large coverage area than peer to peer Wireless Local Area Network. Wireless Distribution System:Actually, Wireless Local Area Network has mainly two types Access Point WLAN and Peer to Peer WLAN. Sometimes, when it becomes harder to set up individual APNs for large coverage, then we can set up Wireless repeaters to regenerate and transmits the signal. Such system is called 'Wireless Distribution System'. Monitoring System: Sometimes, for extra security purposes we set up some Network Cards which don't reveal their identity or don't connect to the Hotspot directly instead used for monitoring the network or to crack into a network.